iOS 5.0.2 Coming Soon to Address Battery Issues? iOS 5.1 to Bring New Siri Integration? iOS 5.0.2 coming very soon, solving the battery bugs. Should arrive before the end of next week. Apple is working hard on the update. In addition Apple ist working on the first big iOS 5 Update (iOS 5.1), bringing some siri-extensions. Also the Siri hardware-control is in work "take a picture", "make a video", "switch on/off WiFi", "switch on/off BT" and more. According to the report, a new update presumably coming as iOS 5.0.2 is set to be released "no later than next week" to address continued battery life issues even after last week's release of iOS 5.0.1 intended to target those problems. A release next week would be a fast turnaround given that there has not yet been any sign of developer testing for an iOS 5.0.2, although iOS 5.0.1 spent only about a week in testing as Apple rushed to release the update to the public. Beyond the near-term battery fixes, the source also suggests that Apple is working hard on enhancements to the Siri functionality of the iPhone 4S, with the update apparently set to come early next year in a more significant software update probably dubbed iOS 5.1. The report points to Apple's Siri FAQ to note that additional language support and expansion of maps and local search to new countries will be included in the update. In addition, Apple is said to be looking at a significant expansion of Siri's capabilities for controlling iOS devices, implementing commands for such tasks as taking photos and videos, and turning connectivity such as Wi-Fi or Bluetooth on and off. Macerkopf has not been a frequent source of rumors regarding Apple's plans, and thus the report should be taken with some skepticism, but the claims do seem to line up with Apple's priorities of addressing continuing battery issues and increasing the functionality of the flagship feature of the new iPhone 4S. Bluetooth on/off is something I have wanted on the multi-tasking bar for an age. Siri makes sense for doing this instead. 5.0.1 fixed my battery problems. Been using my phone since 8 this morning - at 68%. Not too bad. hope 5.0.2 doesn't bring the drainage back! A toggle for wifi/bluetooth! Would also be nice to have it in notifications something already available for JB phones! Who wants to tell their phone to turn Wifi/Bluetooth/Airplane Mode/etc. to turn on/off??? Just please give me some buttons down in the multi-tasking tray or the Notifications shade. I haven't even updated to 5.0.1 yet, I was getting pretty bad battery but not terrible like some people. Out of nowhere in the past two days my battery has been dying close to 10% an hour on standby. This is ridiculous, and I can't fathom why this problem has just started out of nowhere if I haven't been doing anything different. To me that would seem to suggest some hardware issue? Now I'm getting annoyed. The no audio on outgoing calls problem intermittently, and now this terrible battery. they should have already thought of and added these features in the 1st release. I think all companies should do that. Think of all the features ever needed and include them in the 1st release so no updates ever required. Also, they should fix all the bugs too - even the unforseen ones. And make the phone able to fix it's own hardware errors with, like, nano-technology. But they should definitely think of things they haven't thought of yet. Thank you for not being a designer at Apple. Although it does beg the question of how (if Siri is dependent on network connection) one would turn wifi back ON once its off. Seems that that indicates that they might be putting a bit more local logic into Siri? Add an additional page to the left of the music controls/volume slider in the multi-tasking tray. Was that so hard? Add an option to display the toggles in the Notifications shade (see it would be an option just like the other widgets). Really? You're going to mute your phone by SPEAKING to it and having it reply out loud "I will now mute your iPhone, devnu11." Okay, the first 5.0 update? Okay, Apple so use this chance to give us a "CLOSE ALL APPS" button!!! It would save so much time and prove mightily useful! 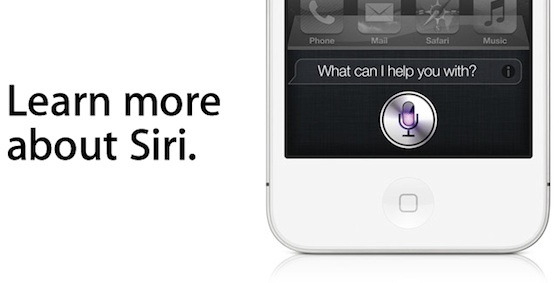 Siri to control hardware features would be nice...finally! Siri has been out just over 30 days and you say 'finally' to an enhancement. ...and that is why i keep coming back to the iPhone. Updates updates updates and i get them as soon as they're released. No waiting days, months for it to be ported onto a custom UI/skin or for carrier approvals or till i buy a new phone entirely and all that nonsense. The product/ecosystem keeps on giving and giving for the next 24 months at the very least.